Whether you’re about to graduate from high school or from college, it’s the time of year to get some great photos done to announce your graduation to your family and friends. 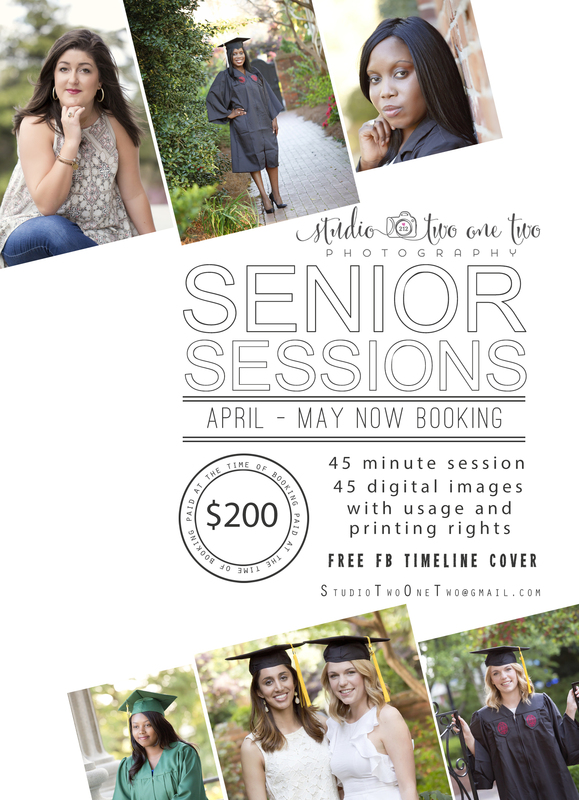 Don’t miss this fabulous deal for senior photos in April and May…. a 45 minute session with 45 digital images, including usage and printing rights, plus a free Facebook timeline cover image for only $200! Send a message to StudioTwoOneTwo@gmail.com for more info, or call Patty Hallman at (803)318-4868 to book your senior session soon. Limited availability, so don’t delay.